If you want to be successful in Official Fantasy Bundesliga then you need to be able to assemble a crack squad to lead you to the title. The basis of any successful team is the goalkeeper. bundesliga.com brings you the top five Fantasy goalkeepers from last season. Don't forget: This season, the Official Fantasy Bundesliga is also available for download from the App Store and Google Play! 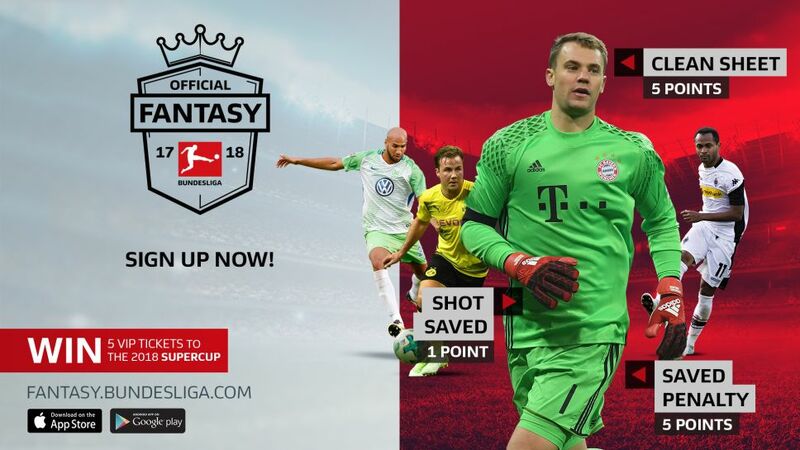 The Bayern Munich goalkeeper is without doubt one of the best in the business, and he came out top in last season’s Official Fantasy Manager too. The new Bayern captain conceded the fewest goals and that is unlikely to change in the new season, meaning minus points are hardly a worry with him. Buying Neuer for your team is pricey, but tends to be worth it. Baumann played a massive role in Hoffenheim’s monumental season in 2016/17 with his high number of saves. The Sinsheim club finished the campaign fourth and conceded the second-fewest goals in the league after Bayern (37). As long as Baumann keeps batting the ball away, he’s a good - and cheaper - choice for your no.1 spot. The Hungarian was the rearguard for the promoted side last season and fought off competition from Fabio Coltorti and Marius Müller. Leipzig finished the campaign in second whilst Gulacsi finished as the third-best goalkeeper in Official Fantasy Bundesliga. Assuming he remains the first choice at the Red Bull Arena, he could be a reliable source of points for you.